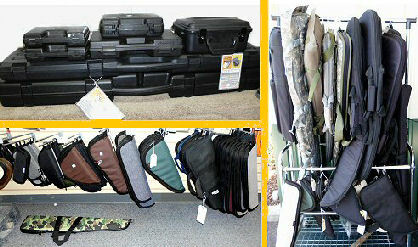 LMC AMMO carries a variety of soft and hard rifle cases as well as soft and hard pistol cases. We stock a variety of colors, styles and sizes. Soft cases are padded and zippered. Hard cases are lined with foam with snapping closures. Buy one for each of your guns!